Sorry I’ve been gone, I haven’t been feeling well. I wound up staying with my brother’s godmother for a few days, but then my dad came up to take care of me, so I’m back at my apartment now. He cleaned my whole apartment for me! I’m happy to see him. My little brother went to prom with his gf. So cute! I’ll update with more stuff later. Still not feeling great. His WBC counts were too low for chemo on Monday (welcome to the club), so he got 2 Neupogen injections this week, and the chemo was pushed back to March 11th – 12th. He had a lot of skin irritation from radiation, so the 4 more days of radiation that he has were also pushed back. He’ll be getting them next week, Mon – Thurs. Since I have a lot of make up work and exams to keep up with and study for, my parents have been keeping me a little out of the loop with him, so that’s all I know for now. They’ll fill me in with more details later…once these exams are out of the way. That’s fine, I guess. I just like to know exactly how he’s doing. Makes me feel less anxious. My feet are on fire, omg! In other news…my daddy only has 1 week left of chemo and radiation, woot! He’s been doing surprisingly well with all of it. I mean he can’t taste and he has mucositis in the back of his throat, so he’s lost a lot of weight…but the radiation has given him a stunning tan ^_^ and he’s been trying to do some work here and there around the house since he hates being bored or just chilling…probs where I get that from. He’s also been trying to do some stuff in the yard, and wears this big floppy hat and lathers up in sunscreen to protect himself from the sun. It’s pretty funny. My mom is the kind of person that feels like she has to be strong for everyone and fight hard for everything, so seeing her cry was…just weird honestly. She has her best friend to talk to…her best friend lives here closer to me and helps take care of me since I’m farther from home. She doesn’t tell my dad things she’s scared about, because she doesn’t want him to be scared. He takes those cues from her, and once she said that, I realized that’s what she’s been doing with me, and why she was crazy enough to let me be so far away from home during all of this…to give off a “no big deal” vibe, I think. She tends to do that so that no one else panics, since she’s the one with all the medical knowledge in the family. 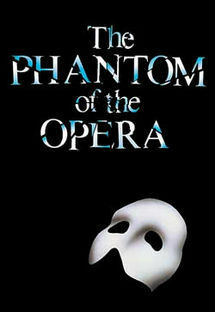 My brother was the Phantom of the Opera in his school’s ballet! 🙂 My dad is even at work today! Surprised me, but I’m glad he feels well enough to do that. My brother always has fun no matter what he’s doing. He’s the most interesting kid in the world…like those Dos Equis commercials. He scuba dives and does marine bio research, dances hip hop, modern, and ballet, he’s in sheriff explorers because he wants to be a cop after he does the Marines, he’s in some kind of drag racing group that his physics teacher runs, he trains these kids at the gym, and he trains dogs! I have no idea where he finds the time for all this. Probably because he never does homework lol. It’s crazy! I get tired just thinking about it. My brother gets really passionate about things that interest him, so I’m not sure how, but he manages to make time. This usually involves reducing time spent on schoolwork, lol. Most of the dance stuff happens during school, though, since he’s at a school for the arts. I don’t even know if I’ll be home for Christmas…I really wanna be home for Christmas, because I missed Christmas completely last year. I was down for the count, so to speak. Didn’t wake up at all that day. LAME! And I wanna do family stuff…and junk. I know my mom has to work on Christmas, but I at least want to hang out with my dad! So I figured out that I don’t need to talk to my dad to show him that I care. I just need to hug him, lean my head on his shoulder when we’re sitting next to each other, watch a movie with him…that’s all there is to it! I want to be able to be home (and awake) for Christmas this year. I want that. Thinking about it…I’m glad Ricky stopped treatment. It was making him miserable, and the result would have ultimately been the same, but slower and much less enjoyable than the way he spent it. Even though I wish he were here still, I’m glad he’s now cancer free. And yes, my life is kind of “$*#^@&*&%@” right now, if you will, and I feel kind of miserable most days, but in the grand scheme of things…at least I still have it. It just takes situations like this to put all of that into perspective I guess. I’m glad I got my mom to open up to me…the challenge will be getting my dad to open up. He’s never been a big talker, and NOT a sharer of feelings. I know he’s got to be scared, and I don’t want him to be (though that’s impossible, it’s what I want)! I feel like if he can say how he feels and just feel it, maybe…I don’t know, maybe it would help him, too. He hasn’t talked to anyone about how he FEELS about any of this; only about what’s happening. Facts. Such a guy. I just don’t know how to start that conversation with him besides saying, “So daddy, how do you really feeeeel?” And that’s awkward, because we usually talk about basketball, football, sheetrock (?? ), electronics, kung fu movies, I dunno 2 x 4, table saws and stuff lol.